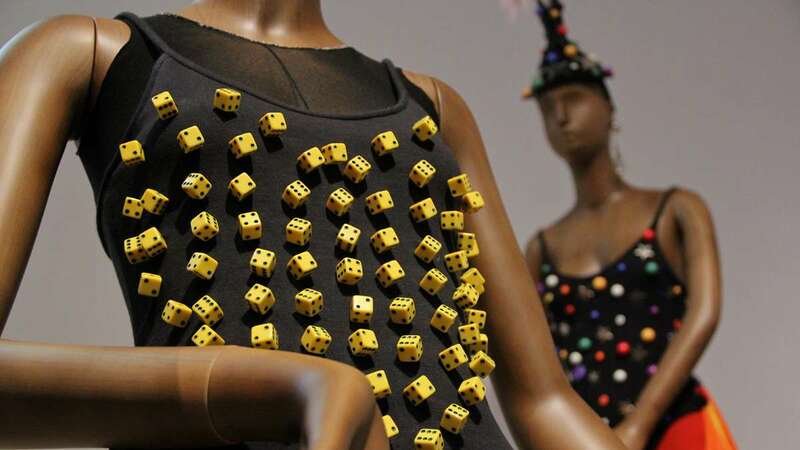 The Philadelphia Museum of Art recently acquired 800 pieces of clothing and accessories by designer Patrick Kelly, the fashion superstar who burned brightly and quickly in the 1980s. 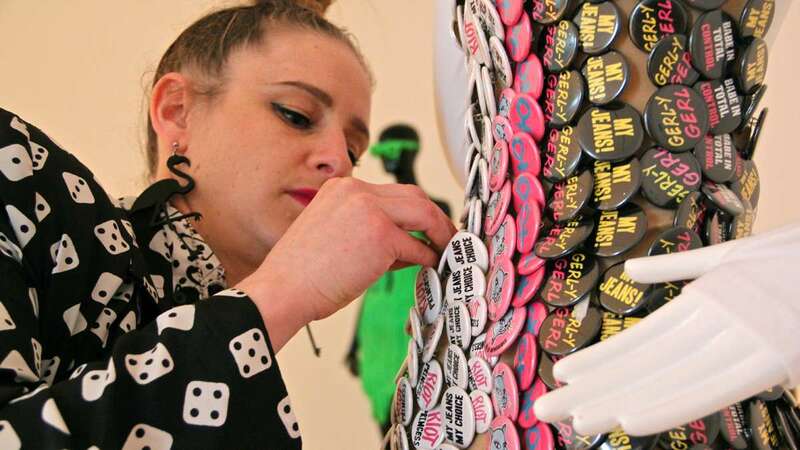 The museum’s department of costumes and textiles is now staging an exhibition of outfits by the controversial fashion designer. 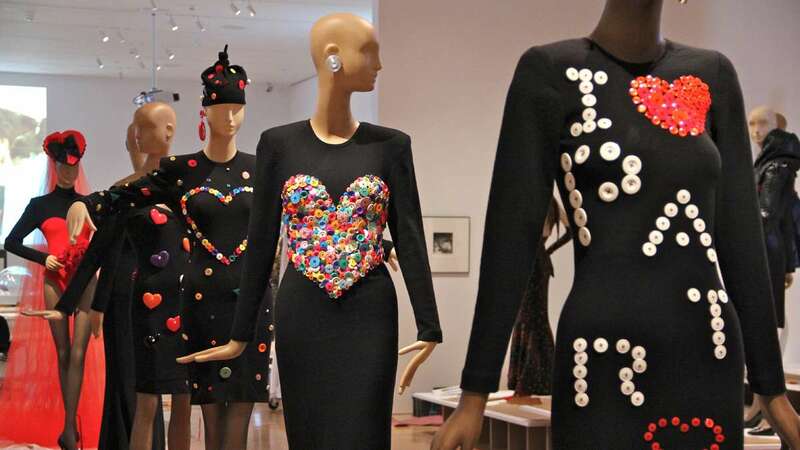 “Patrick Kelly: Runway of Love” features video footage of real Kelly runway shows, where the clothes swished and pranced on real bodies. 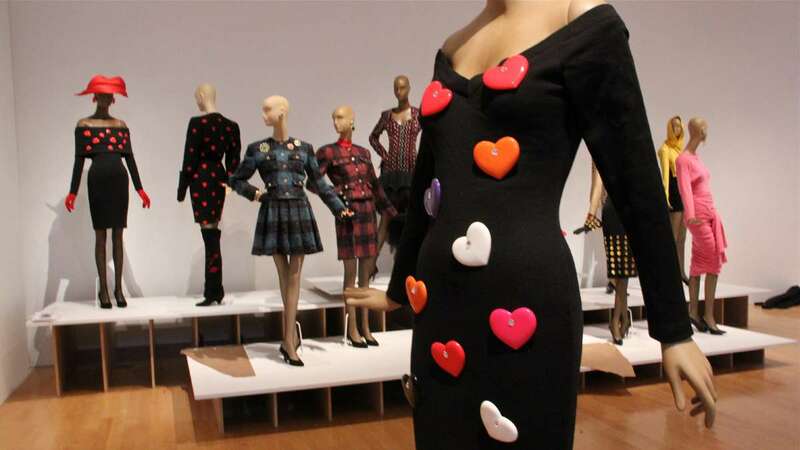 In the main gallery of the Perelman Building, across the street from the Philadelphia Museum of Art, 80 mannequins are crowding the Runway of Love. 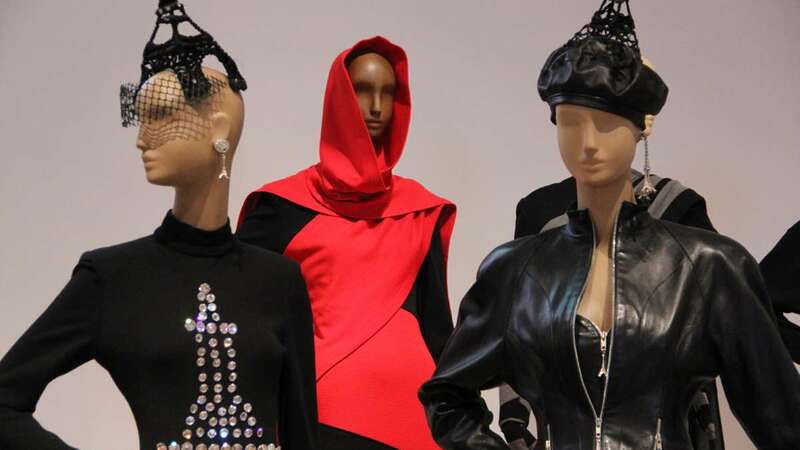 Sporting head-to-toe fashion looks by Patrick Kelly, they are frozen in what would otherwise be a dance party with music by the Pointer Sisters, Jody Watley, and Rick Astley thumping around them. 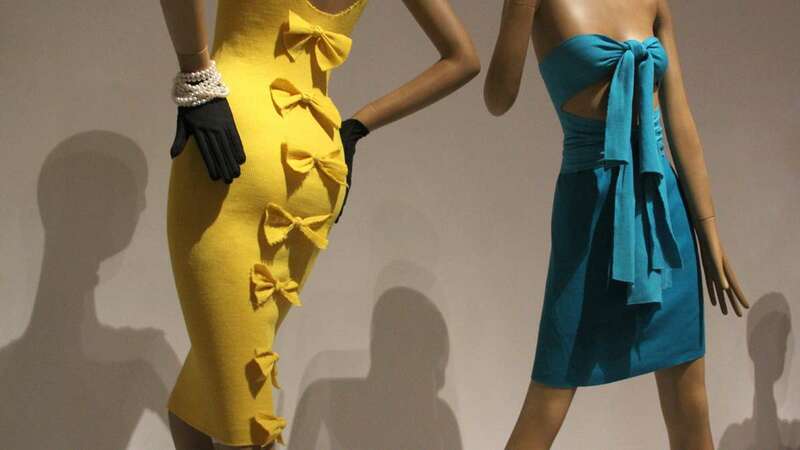 “He was an important designer who has been forgotten about in fashion,” said Laura Camerlengo, an exhibition assistant with the museum’s department of costume and textiles. She combed through the old video footage, frame by frame, to re-create the runway looks exactly as Kelly’s originals. Kelly’s brief career spanned an explosive debut in Paris in 1985 and his death from AIDS in 1989. 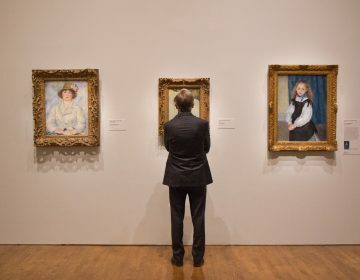 During that time, he put an iconic headscarf over supermodel Grace Jones, knitted red hearts across cocktail dresses, and sewed oversized buttons on the classic Chanel tweed suit. His clothes are most notable for being whimsical, playful, and heavily adorned with bows and buttons. 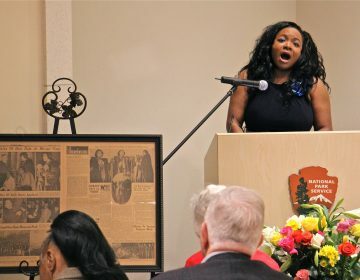 The African-American designer was born in Mississippi and never let anyone forget it. He flaunted racial stereotypes — at his own runway shows, he dressed in baggy overalls with bare feet. 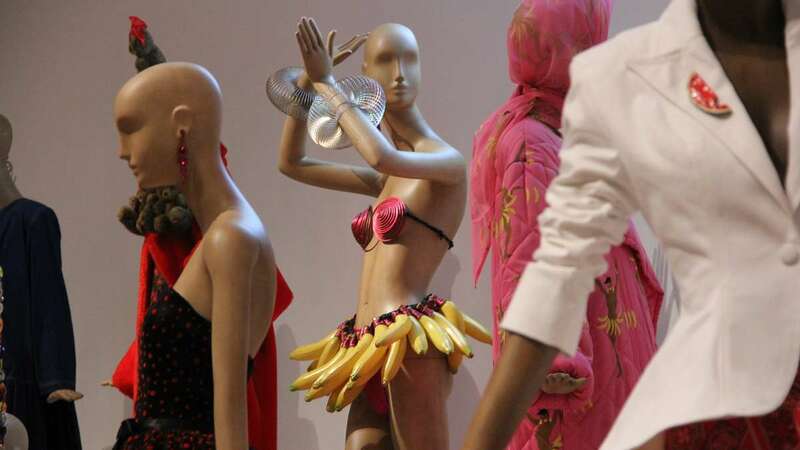 His designs often featured watermelons and jewelry made from little black baby dolls, and he re-created a skirt made out of bananas a la Josephine Baker. 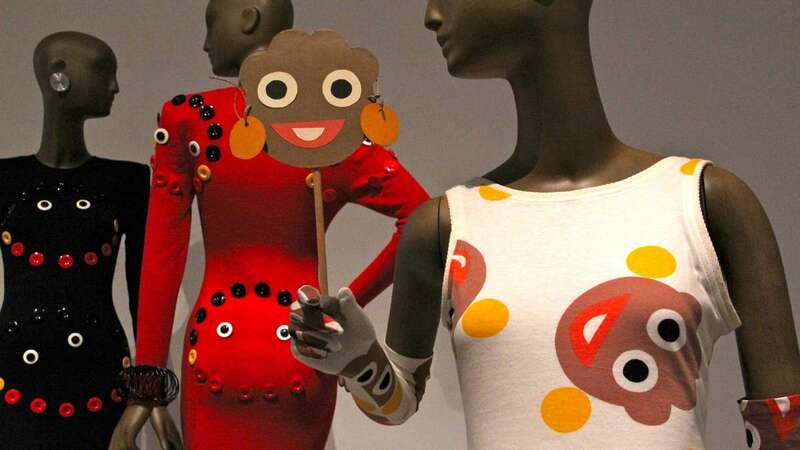 The logo for his band was a golliwog — a black cartoon face with white teeth, red lips and buggy eyes, which raised many eyebrows. 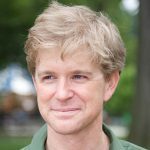 The legacy of Kelly is carried forward by Gerlan Marcel, a contemporary designer whose work is also on display in a nearby, smaller gallery in the Perelman Building. 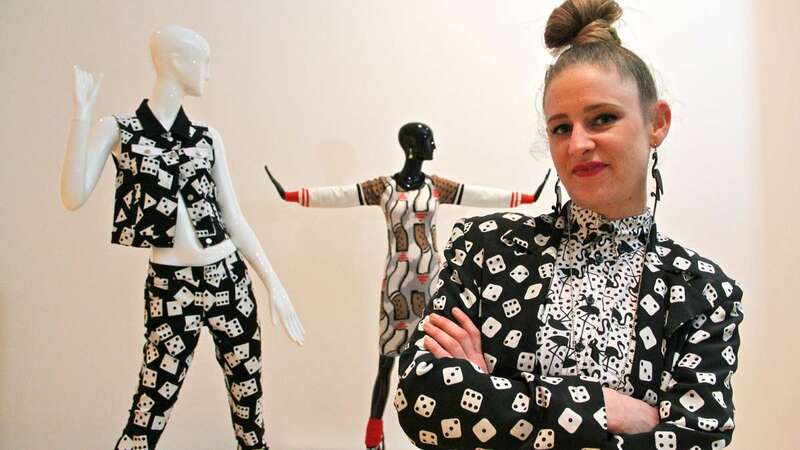 Her work is directly influenced by the exuberance of Kelly, with whimsical prints, knit hearts, and rows of bows. Like Kelly, Marcel’s company — Gerlan Jeans — believes you can never have too much adornment on your clothes.